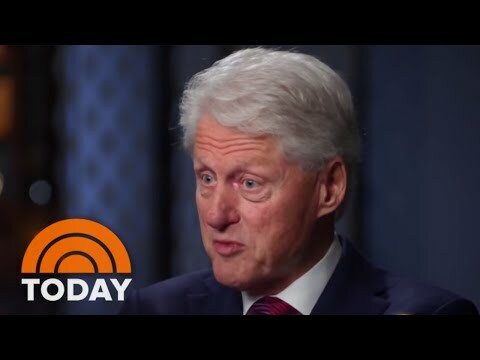 In a feisty interview, former President Bill Clinton of Chappaqua, who was impeached by the House of Representatives in 1998 as a result of the Monica Lewinsky scandal, told NBC's "Today" show on Monday that he would not have done anything differently in light of the #MeToo movement. Do you think Bill Clinton should have resigned as 42nd president during the Monica Lewinsky affair? “If the facts were the same today, I wouldn’t,” Clinton told NBC News “Today” correspondent Craig Melvin when asked if he would have approached the accusations against him any differently today. In the interview, Clinton said he thinks President Trump, a Republican who owns an estate in Bedford, has not gotten nearly as much national media scrutiny over his own alleged extramarital relationships. "It hasn’t gotten anything like the coverage that you would expect,” Clinton said. The interview turned testy when Clinton said he had apologized to everybody in the world for the 20-year-old scandal but acknowledged he has never spoken privately to Lewinsky about their affair, but noted he did apologize publically (in a press conference) to her and her family. After being impeached by the House of Representatives, Clinton was acquitted by the U.S. Senate in February 1999. In a Vanity Fair essay, Lewinsky said that she was viewing the affair with Clinton through a new lens because of the #MeToo movement. “Now, at 44, I’m beginning (just beginning) to consider the implications of the power differentials that were so vast between a president and a White House intern,” Lewinsky wrote.